Ceiling ECO Male-Male 1.5 m HDMI cable Cables. Sold only in France, delivery to the ground floor. No delivery in the Islands. Ceiling ECO Male-Male 1.8 m HDMI cable Cables. Sold only in France, delivery to the ground floor. No delivery in the Islands. 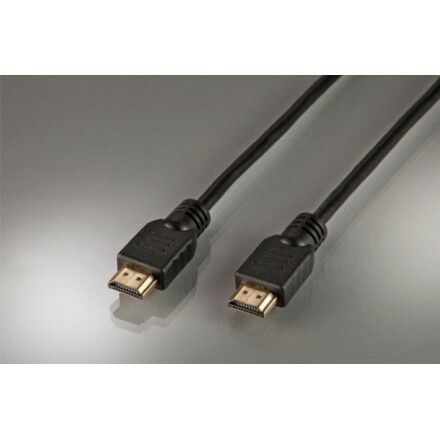 Ceiling ECO Male - Male 10 m HDMI cable Cables. Sold only in France, delivery to the ground floor. No delivery in the Islands. Ceiling ECO Male - Male 15 m HDMI cable Cables. Sold only in France, delivery to the ground floor. No delivery in the Islands. Ceiling ECO Male - Male 20 m HDMI cable Cables. Sold only in France, delivery to the ground floor. No delivery in the Islands. Ceiling ECO Male-Male 3 m HDMI cable Cables. Sold only in France, delivery to the ground floor. No delivery in the Islands. Ceiling ECO Male - Male 5 m HDMI cable Cables. Sold only in France, delivery to the ground floor. No delivery in the Islands. Câble HDMI celexon PRO Mâle-Mâle 1,5mCables. 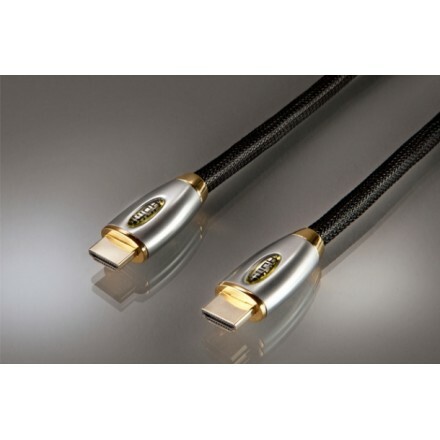 Ceiling PRO Male-Male 1.8 m HDMI cable Cables. Sold only in France, delivery to the ground floor. No delivery in the Islands. Ceiling PRO Male - Male 10 m HDMI cable Cables. Sold only in France, delivery to the ground floor. No delivery in the Islands. Ceiling PRO Male - Male 15 m HDMI cable Cables. Sold only in France, delivery to the ground floor. No delivery in the Islands. Ceiling PRO Male - Male 20 m HDMI cable Cables. Sold only in France, delivery to the ground floor. No delivery in the Islands. Câble HDMI celexon PRO Mâle-Mâle 3mCables. Ceiling PRO Male - Male 5 m HDMI cable Cables. Sold only in France, delivery to the ground floor. No delivery in the Islands. Ceiling ECO Male-Male 1.5 m VGA cable Cables. Sold only in France, delivery to the ground floor. No delivery in the Islands. Ceiling ECO Male-Male 1.8 m VGA cable Cables. Sold only in France, delivery to the ground floor. No delivery in the Islands. Ceiling ECO Male - Male 10 m VGA cable Cables. Sold only in France, delivery to the ground floor. No delivery in the Islands. Ceiling ECO Male - Male 15 m VGA cable Cables. Sold only in France, delivery to the ground floor. No delivery in the Islands. Cable VGA Male - Male 20 m ECO ceiling Cables. Sold only in France, delivery to the ground floor. No delivery in the Islands. Ceiling ECO Male - Male 25 m VGA cable Cables. Sold only in France, delivery to the ground floor. No delivery in the Islands. Ceiling ECO Male-Male 3 m VGA cable Cables. Sold only in France, delivery to the ground floor. No delivery in the Islands. Ceiling ECO Male - Male 30 m VGA cable Cables. Sold only in France, delivery to the ground floor. No delivery in the Islands. Ceiling ECO Male - Male 5 m VGA cable Cables. Sold only in France, delivery to the ground floor. No delivery in the Islands. Ceiling PRO Male-Male 1.5 m VGA cable Cables. Sold only in France, delivery to the ground floor. No delivery in the Islands. 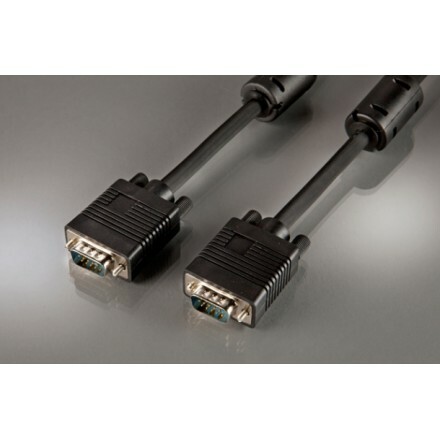 Ceiling PRO Male-Male 1.8 m VGA cable Cables. Sold only in France, delivery to the ground floor. No delivery in the Islands. Ceiling PRO Male - Male 10 m VGA cable Cables. Sold only in France, delivery to the ground floor. No delivery in the Islands. Ceiling PRO Male - Male 15 m VGA cable Cables. Sold only in France, delivery to the ground floor. No delivery in the Islands. Ceiling PRO Male - Male 20 m VGA cable Cables. Sold only in France, delivery to the ground floor. No delivery in the Islands. Ceiling PRO Male - Male 25 m VGA cable Cables. Sold only in France, delivery to the ground floor. No delivery in the Islands. Ceiling PRO Male-Male 3 m VGA cable Cables. Sold only in France, delivery to the ground floor. No delivery in the Islands. Ceiling PRO Male - Male 30 m VGA cable Cables. Sold only in France, delivery to the ground floor. No delivery in the Islands. Ceiling PRO Male - Male 35 m VGA cable Cables. Sold only in France, delivery to the ground floor. No delivery in the Islands. Câble VGA celexon PRO Mâle-Mâle 40mCables. Ceiling PRO Male - Male 5 m VGA cable Cables. Sold only in France, delivery to the ground floor. No delivery in the Islands.